Today, during PlayStation’s State of Play, Five Nights at Freddy’s VR: Help Wanted was announced for PSVR. This comes after many rumors following an ESRB rating back in February. Five Nights at Freddy’s VR: Help Wanted is a collection of VR experiences, that are based on the original games from the mainline series. It also includes new features and experiences for you to enjoy, too. Jason Topolski, co-founder of Steel Wool Studios wants everyone to know this is not just a port of the original games. The fact that it’s in VR makes it different enough, but with added features, this is an all new experience. This game will also allow for DualShock controller or PS Move motion controller support, as opposed previous iterations that require mouse and keyboard or touch screen controls. Being able to play in Five Nights at Freddy’s in VR adds a new level of immersion and takes away any sense of protection given to you by the original games. It’s easier to feel safe when playing on a screen, but with VR, you feel like you’re really there. 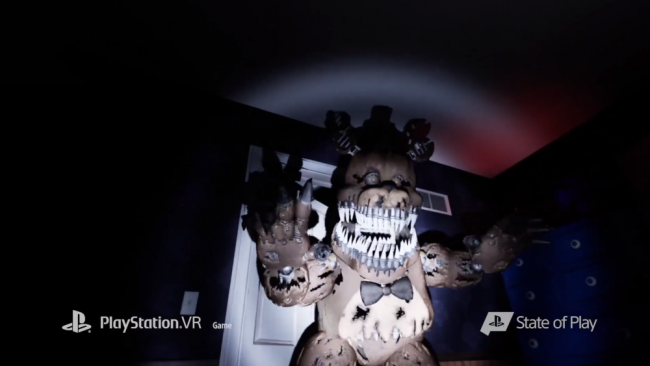 Five Nights at Freddy’s VR: Help Wanted is planned to release this Spring. It doesn’t appear to be exclusive to PSVR and will likely be available on other platforms. Will you be giving this one a try, or is this too late for a Five Nights at Freddy’s VR game? Let us know in the comments!